Short description for Canada Day would be “The National Day of Canada”. It is a statutory holiday, allowing all Canadians to celebrate the anniversary of July 1st,1867, which is when the enactment of the British North America Act united three British colonies into a single country called Canada. This was done within the British Empire and the special day was originally called Dominion Day. This name was changed in 1982- that is the year Canada gained full independence from the United Kingdon. 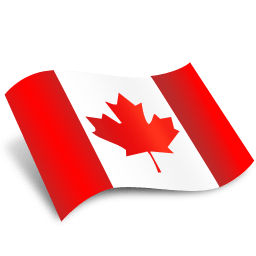 Now Canada Day is most commonly called “Canada’s Birthday” and you can find detailed description and lot more information on Wikipedia website. “O Canada” was proclaimed Canada’s national anthem on July 1, 1980, 100 years after it was first sung on June 24, 1880. The music was composed by Calixa Lavallée, a well-known composer; French lyrics to accompany the music were written by Sir Adolphe-Basile Routhier. The song gained steadily in popularity and many English versions have appeared over the years. The version on which the official English lyrics are based was written in 1908 by Mr. Justice Robert Stanley Weir. The official English version includes changes recommended in 1968 by a Special Joint Committee of the Senate and House of Commons. The French lyrics remain unaltered.